Hey, friends! I wanted to catch you up on the recent videos from this week in case you missed them. I’ve had such a surprisingly positive response to my college videos and vlogs, so I’ve been working on creating more of that content! 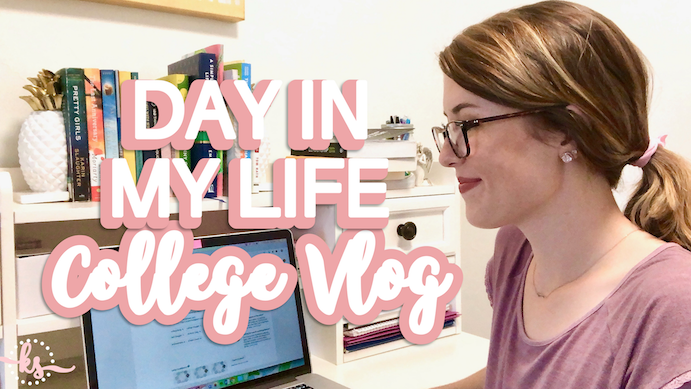 This week I filmed my second ‘Day in My Life’ vlog, showing my college class routine. I also filmed a grocery haul, which I always like watching from other YouTubers! Be sure to subscribe (here) so you catch my future videos! Have a great week! As always, thanks for reading, watching, and for supporting my blog! Let me know in a comment or over on Instagram if there’s any content you’d like to see from me!